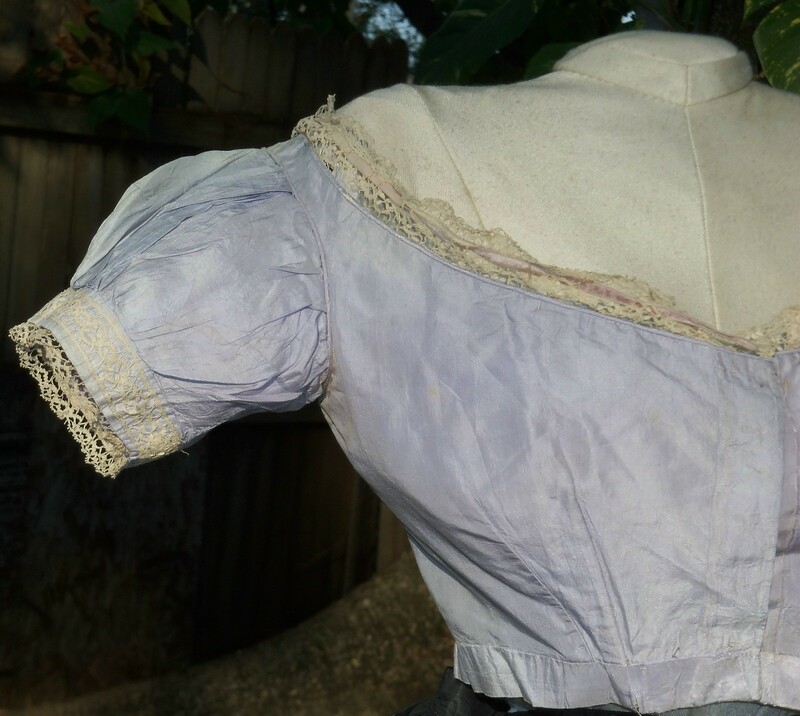 This auction is for an exquisite ballgown bodice from just before the end of the Civil War. 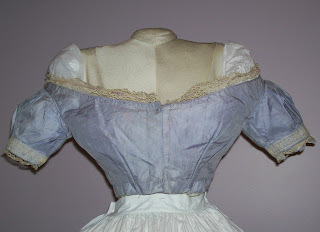 The fabric is Lilac silk taffeta (allegedly, Empress Eugenie's favorite color). 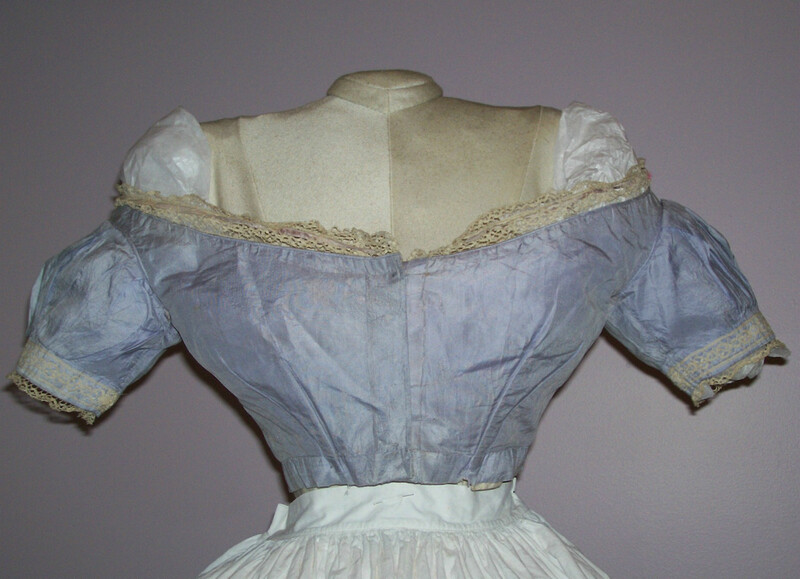 It's wide, low neckline and tiny waist suggest high fashion. 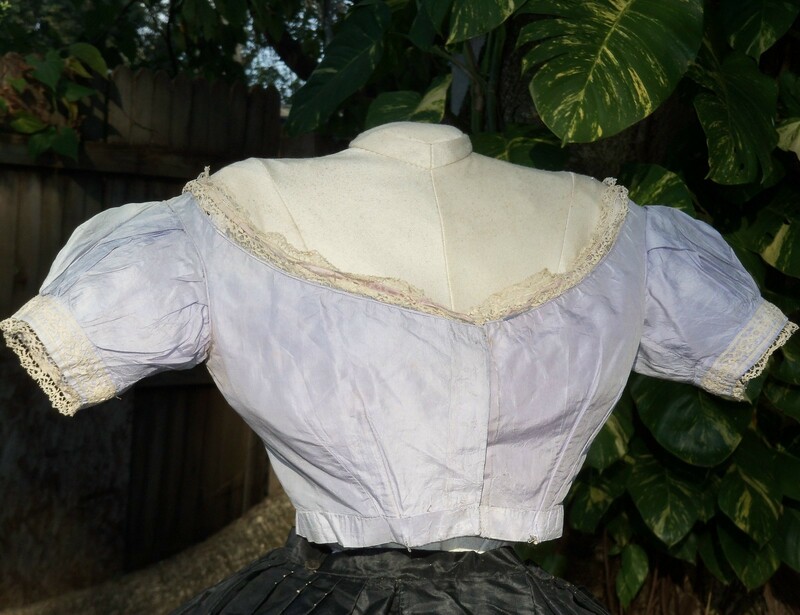 The most wonderful feature is its original attached Maltese Lace tucker, which provides a hint of modesty at the neckline. It pulls close with narrow velvet ribbon. 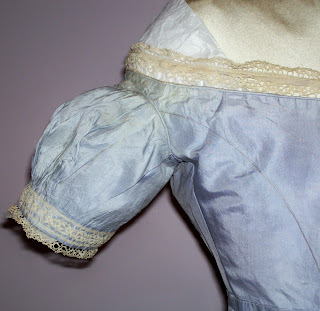 Coordinating lace insertion trims the puffed sleeves. Inside, there is a narrow twill "belt" which is often found in French bodices of this period. 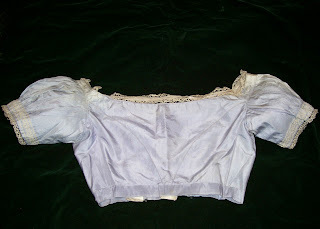 Also present are tabs of the same white polished cotton as the lining. 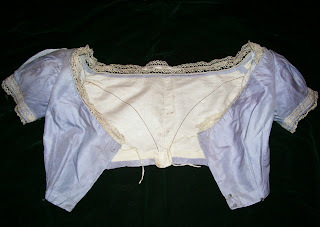 I think they served to help secure the skirt to the bodice by pinning or stitching. This would prevent gaping between the bodice and skirt. 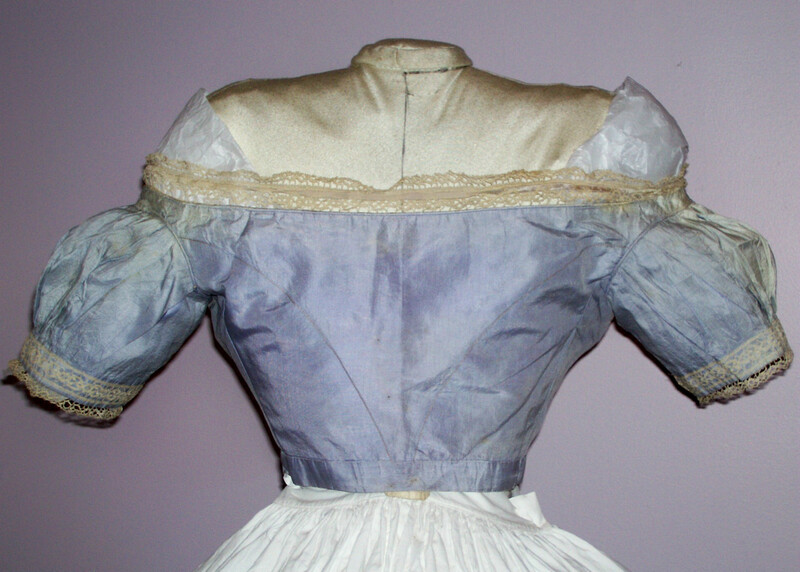 The bodice closes with hooks and eyes in the front. Condition is structurally very good. There is a little fading, most visible at the sleeve tops. The velvet ribbon is also faded. 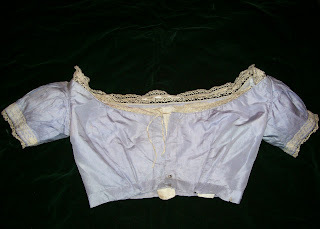 there is minor wear at the front waist. Measurements are: The bust is 37 inches & the waist measures 26 inches. Sorry, dear seller, but the high waist line and those puffy sleeves? 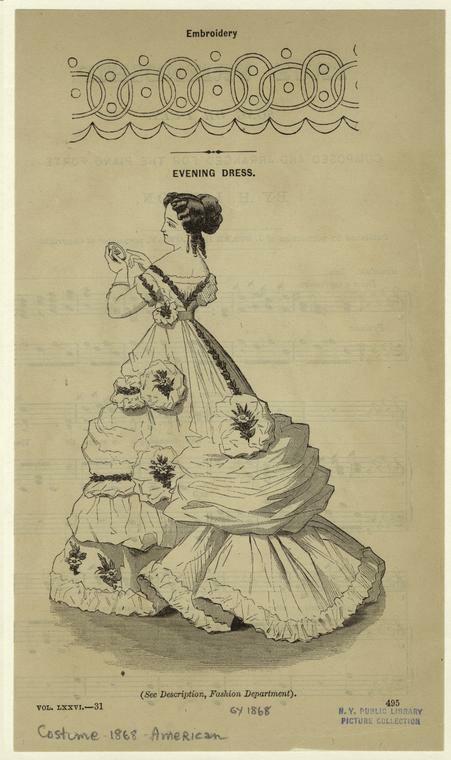 So very 1868.